Participants at PSDI's SOE reform meeting along with SOE Reform Specialist Christopher Russel (rear left), ADB Pacific Liaison and Coordination Office Regional Director Andrea Iffland (front, third from left), PSDI SOE Reform Team Leader Laure Darcy (front, third from right) and ADB Pacific Department Director General Xianbin Yao (right). A two-day seminar on state-owned enterprise reform concluded at PSDI’s office in Sydney today. The seminar was attended by ministers and heads of departments responsible for SOEs in Fiji, Kiribati, Samoa, SOLs, Tonga and Vanuatu. They shared their experiences with SOE reform, discussing the obstacles they have encountered and opportunities they have identified to improve SOE performance. The participants reviewed a working draft of the fifth edition of Finding Balance, PSDI’s comparative study of SOE performance in island economies. They were also addressed a number of guest speakers, including former New Zealand SOE minister Richard Prebble. It was opened by the Director General of ADB’s Pacific Department Xianbin Yao. Port operations in Suva, Fiji. Over the past decade, the ADB-supported Pacific Private Sector Development Initiative (PSDI) has made significant gains, and we have learned lessons that will guide our future efforts. Marking PSDI’s ninth anniversary, the recently published Annual Progress Report 2014-2015 details how PSDI has grown into one of ADB’s largest technical assistance programs, with more than $50 million in funding provided by ADB and the governments of Australia and New Zealand. The evolution of PSDI is illustrated by the increase in the number of support initiatives it provides, which began with 12 in its first year and now totals over 220 either completed or in progress. PSDI works to improve the environment for doing business in ADB's Pacific developing member countries by easing the constraints to investment and entrepreneurship. It does this by examining the business environment in each country and identifying reforms to address problems faced by their private sectors. Initiatives supporting these reforms are grouped under five core work areas: access to finance, business law reform, competition policy, state-owned enterprise (SOE) reform and public-private partnerships, and promoting economic opportunities for women. Encouraging investment requires the cost of forming a company to be low, and business laws to be tailored to the specific needs of doing business in the Pacific. PSDI has helped achieve this by supporting the reform of company laws and installing electronic business registries in Samoa, Solomon Islands and Tonga modernizing processes that generally required costly lawyers and involved long delays because of inefficient manual systems. As a result, the cost and amount of time required to establish a business has plummeted in these countries. In the Solomon Islands, 1,465 new companies have been established since 2010, at a rate four times faster than before the reform. In Samoa, 500 new registrations since 2013 means the reform has supported over $10 million in investment and the creation of several hundred new jobs. 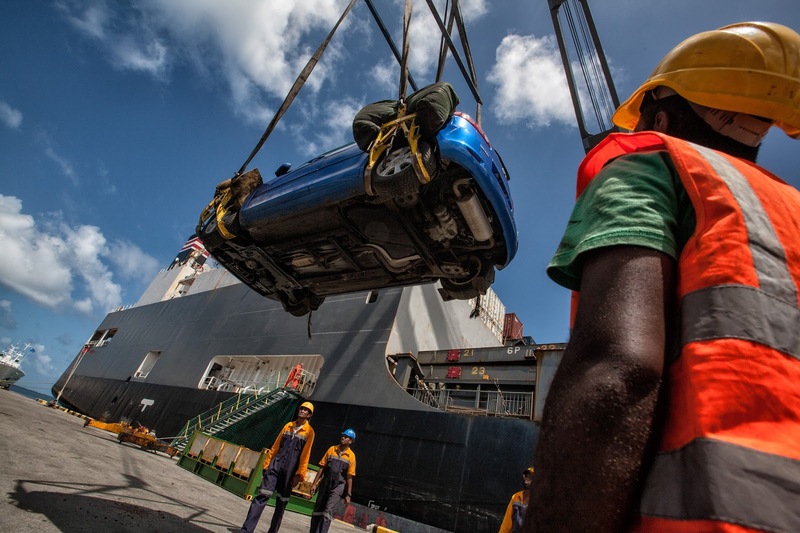 Business is stymied without access to finance, an issue PSDI has addressed by helping establish legal frameworks that allow lenders to secure loans by taking ‘moveable’ business assets—such as vehicles, crops, or accounts receivable—as collateral. These ‘secured transactions’ reforms have now been implemented in eight countries: Federated States of Micronesia, Marshall Islands, Palau, Papua New Guinea, Samoa, Solomon Islands, Tonga, and Vanuatu , with new laws passed and electronic registries establish in each to record details of borrowers and collateral pledged. Where the reforms have been in place for a number of years, thousands of new loans have been granted. In some countries, however, the lesson has been that most lenders need time and encouragement to adjust to the new framework. Instead of commercial banks, often the most active adopters of the new system are finance companies, and even development banks. Nonetheless, realization is growing that secured transactions reforms provide a foundation to develop new financial productsthat sustainably extend access to finance. Reforming company acts and lending laws has also increased economic opportunities for women by ending many discriminatory provisions that inhibited women’s participation in the formal economy in the Pacific. As a result, the Solomon Islands have seen a 41% increase in the number of women directors and a 36% rise in women shareholders. PSDI is also working on several women-focused pilot programs to demonstrate how coupling skills training with improved access to finance can facilitate sustainable business development. PSDI analysis has calculated that SOEs control 10%-17% of the capital in the Pacific, but contribute on average only 2%-7% of gross domestic product. SOEs are frequently monopoly service providers that deliver at high cost and low quality, which not only represents direct losses but also increases the cost of doing business for the private sector. PSDI has advocated for improved governance and better legal frameworks for SOEs to operate on commercial principles. In the longer term it has advocated and supported contracting out, public private partnerships and outright privatization. In 2014, PNG passed a new Public Private Partnerships Act, and other countries are becoming aware of conflicts of interest when politicians and government employees sit on SOE boards. Finally, the small size and remoteness of Pacific economies is a challenge to promoting effective competition, which recently became an important component of PSDI’s work. In January 2016, Samoa became the first country to pass a comprehensive competition and consumer protection law. PSDI is unusual in its longevity. Experience has shown, however, that the business environment reforms PSDI supports are not suitable for typical, 3- or 4-year technical assistance programs. Advocacy commenced a decade or more ago, as countries rightly require extensive consultation to be convinced of the necessity of the reforms being advocated. Although designing and implementing these programs can take many years, the payoff for playing the long game is a common framework for private sector development across the Pacific and a strong foundation for importers, exporters and investors to do business in the region. This article was originally published on the Asian Development Blog. registry design company Foster Moore, and PSDI. 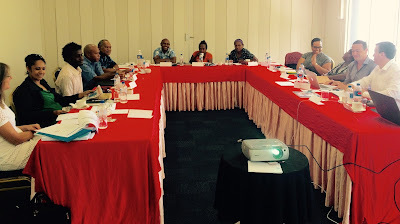 A PSDI workshop in Honiara this week marked the beginning of a project to modernize Solomon Islands business registration processes. 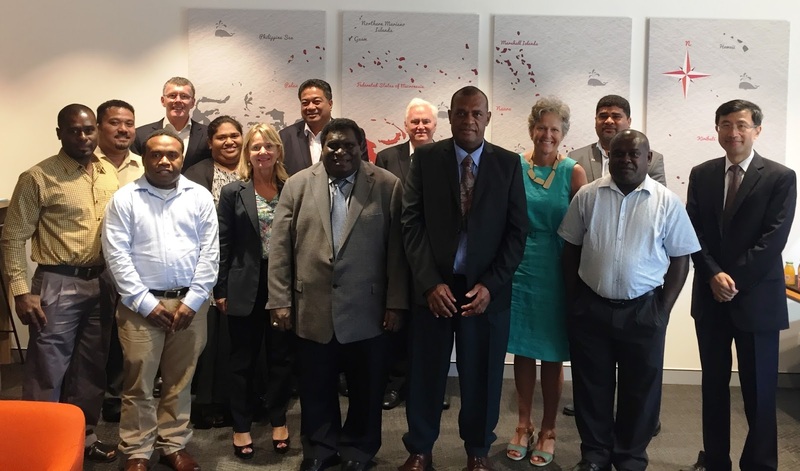 The project, which will be implemented with support from the New Zealand Companies Office and registry design company Foster Moore, will make Solomon Islands’ business names and foreign investment registries available online, and to upgrade Company Haus, its online companies registry. This will streamline investment start-up processes for local and foreign businesses. PSDI was instrumental in establishing Company Haus in 2010. This short Wall Street Journal documentary examines how PSDI is supporting the use of Tonga's secured transactions framework to enable vanilla farmers to fund the rejuvenation and expansion of their crops. A new PSDI publication explains how the economic empowerment of women is integrated throughout our work. 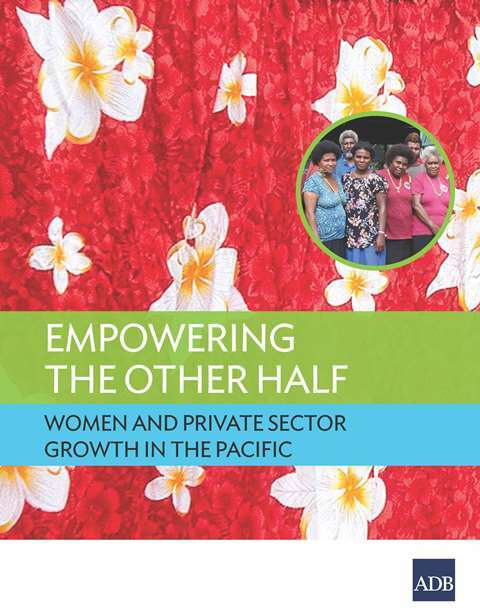 Empowering the Other Half provides an overview of what PSDI has done and will be doing next to economically empower women in the Pacific. It also details four EEoW pilot projects PSDI has initiated to demonstrate practical approaches to supporting women’s equal participation in the private sector. We are pleased to be able to launch this publication today on International Women’s Day, which celebrates the social, economic, cultural and political achievements of women and calls for greater action to address inequality. An article summarizing PSDI’s support for the economic empowerment of women has been published here on the Asian Development Bank website. 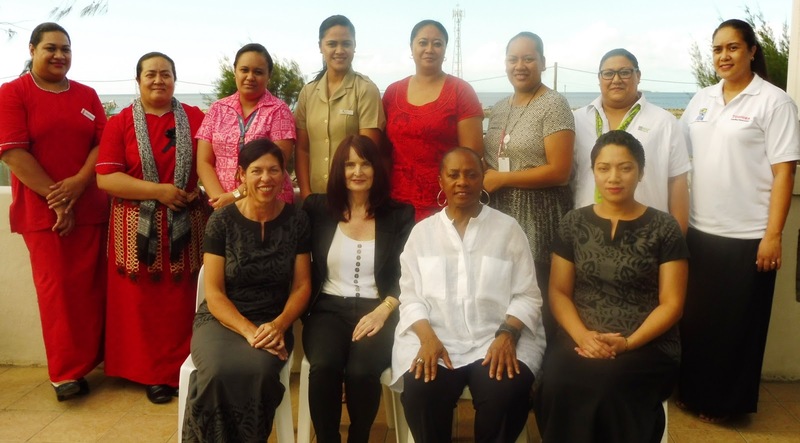 Graduates of PSDI’s Women’s Business Leadership pilot project in Nuku’alofa, Tonga on March 2: (back row left to right) Ofeina Filimoehala, Tonga Development Bank; Siosina Paongo, Tonga Development Bank; Otolose Tatafu, ANZ; Jane Guttenbeil, Tonga Power; Unaloto Mafi, Pacific Retail; Norma Lavemai, Tonga Airports; Emele Hia, BSP; Leveni Asitomani, Oe; and (front row, left to right) Olivia Fukofuka, New Zealand High Commission; Lynette Mayne, course trainer; Valerie Mosley, course trainer; and Debra Allan, New Zealand High Commission. The last of three, two-day training sessions for PSDI's Women's Business Leadership pilot project was held in Nuku’alofa, Tonga today. The project was designed to help mid-level professional women reach leadership roles. It provided skills training, paired participants with Tongan and international mentors, solicited ‘male champions’ to promote cultural change, and elicited commitments from major Tongan businesses to support women’s professional advancement. Fourteen women employees of major Tongan businesses and government departments were awarded certificates at a graduation ceremony attended by their mentors and employers as well as local media. The mentoring component of the project will continue.